Opening in theatres today is the Norwegian thriller-chiller Haunted, a psychological horror film that is a series of firsts, at least for the talent involved. 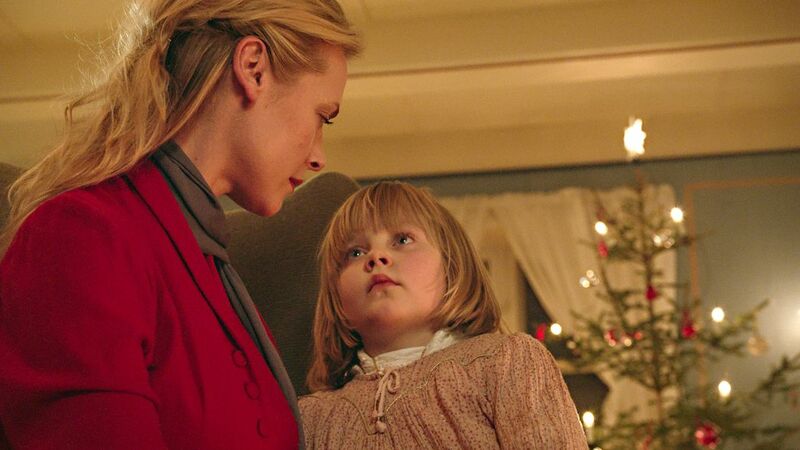 Set in the beautiful winter landscape of Norway, Haunted (original title: Hjemsøkt) follows Catherine as she travels back to her old family estate after her father’s death. Her plan is to sell the property, but when locals start telling stories of disappearances and possible murders, she is forced to confront her family’s mysterious past. 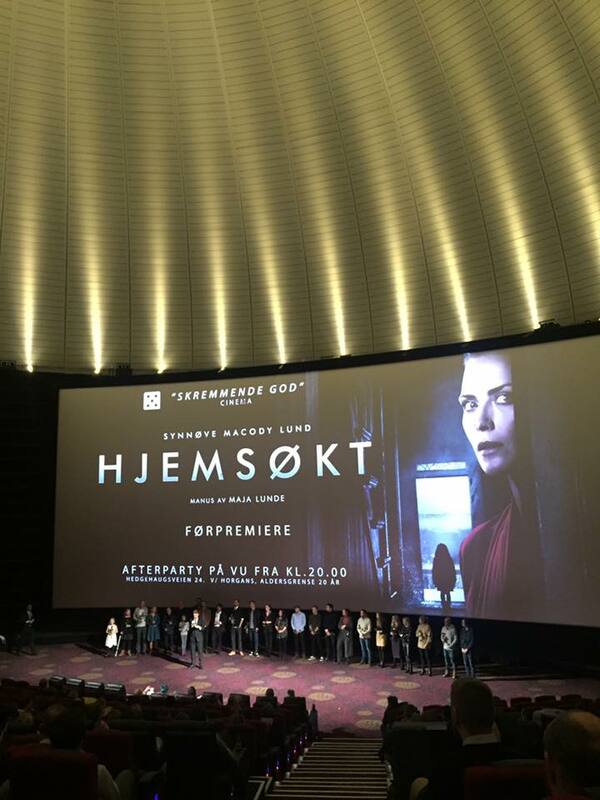 Haunted is a series of firsts; it is lead actress Synnøve Macody Lund’s first starring role in a feature film. She has previously been seen in the successful action thriller Headhunters (possibly to be remade in the US with Mark Wahlberg), the TV drama Black Widows and this year’s big fantasy film, The Ash Lad. Haunted is also a first for director Carl Christian Raabe, who previously directed behind-the-scenes documentaries for feature films and TV commercials. And, script writer Maja Lunde is only credited with TV sitcoms previously, but is otherwise an award winning novelist whose The History of Bees was an international success. Her first draft for Haunted was written several years ago, when she quit her day job after getting development funding for the film. The film is character driven and when asked by FilmMagasinet if Catherine might be inspired by Nicole Kidman in The Others, Synnøve Macody Lund agrees and explains that the film is less a typical horror film and more a blend of drama and chills. She compares it to the Norwegian art-house horror film Thelma and says the film is a bit like Hitchcock in creating a modern, cold, unapproachable woman. No scream queen here! -The film revolves around the main character’s experiences and journey. It’s in this personal story that the “natural” reality meets the definition-defying horror elements, she said in the interview. The film was shot at Gran in Hadeland in Eastern Norway last winter, when the temperature dropped to -17 C (1 F), with 12 hour shooting days. The shoot lasted for 15 days and the old house had to be heated especially for the shoot. Some days were so cold that it was hard to speak properly, as the lips would freeze. -It was a pain to shoot in the house, but it was the best location we could hope for. 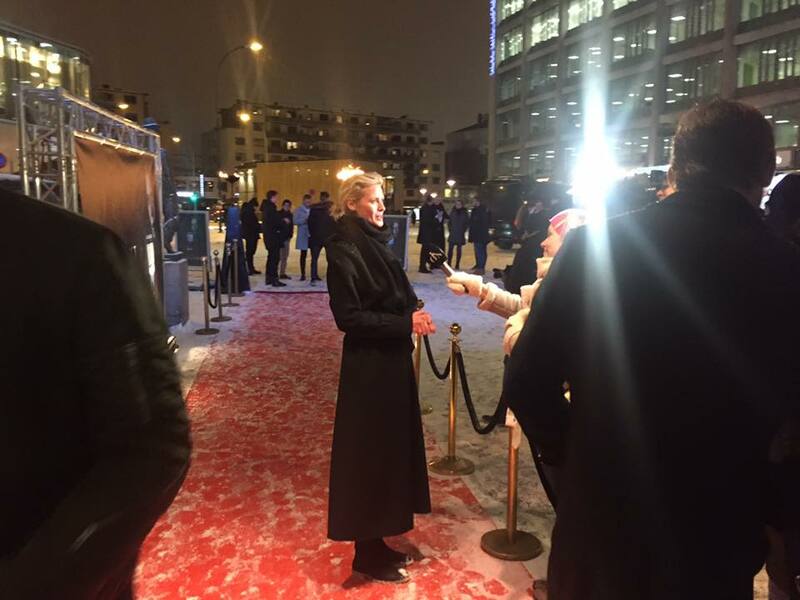 It was ice cold, dark and old, but turned into a fantastic experience, Lund said to TV2. The same TV channel asked co-star Ken Vedsegaard why we are drawn to horror films: -I think we are attracted to the occult because we notice [that we have] dark sides and desires in ourselves and in eachother. That fascinates us, scares us and makes us curious, he said. Some of Synnøve Macody Lund’s favourite horror films: The Ring, American Horror Stories, The Others, The 6th Sense, Black Swan and “most of what Hitchcock made”. Before she became a full-time actress, Synnøve was a film critic, among other things. 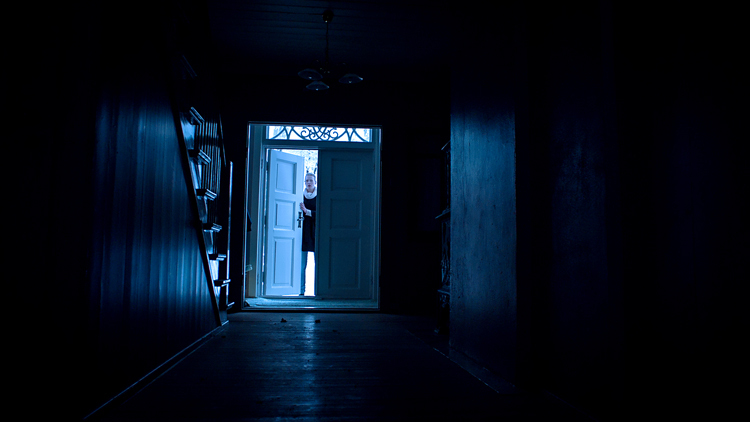 When interviewed by Nordic Fantasy about the themes of the movie, director Carl Christian Raabe explains that the haunted house represents something inside Catherine: -The house is an image of what she hides from herself. You can’t run from the past or shut down. You have to confront fear and your past in order to move on and be a harmonic person. The fear of getting children and mother vs daughter problems are also themes in the film. This attachment and identification is so basic, but at the same time something you have to crush to have your own identity. You can’t escape yourself, your home and your upbringing. Norway’s horror film history is short, and the genre pattern seems to be psychological horror alternating with violent splatter films. What can Haunted bring to this table? -Maja and I had a common idea about the movie being more “down” than the Norwegian horror film tradition. We wanted it to be creepy without resorting to blood and bowels. We took inspiration from movies such as The Orphanage, The Others and The 6th Sense. I have used Maja’s script and structure [as she intended] but together we expanded the main character’s inner life and journey. Women in horror films are often reduced to pretty, screaming blondes. Synnøve is very pretty, but she is not a one-dimensional character. It was thus a deliberate choice when we combined elements from different genres. However, the [overall] genre puts limitations on how much inter-human drama one can take before it feels artificial. I hope we found the right balance. 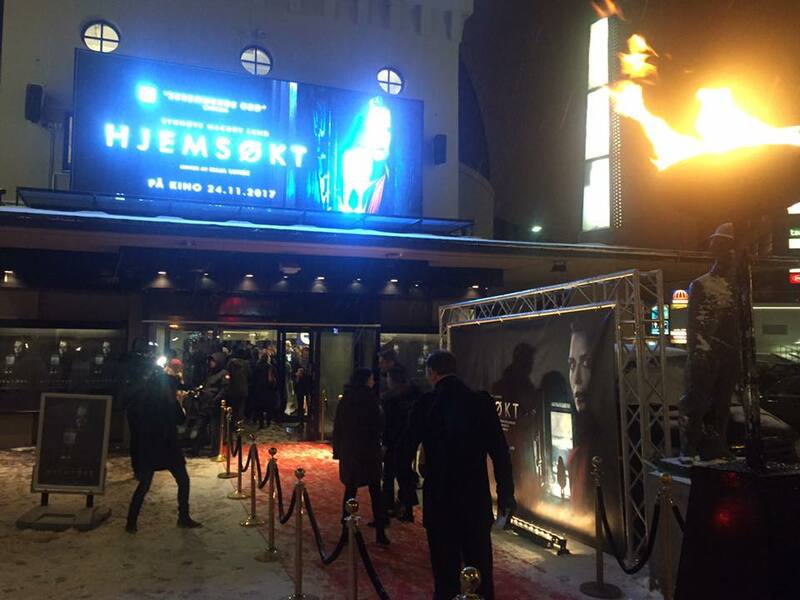 Haunted is the third Norwegian horror film to be launched in theatres this year – actually, the fifth if you count Thelma and Valley of Shadows – but all three of them have been made without public funding, something which was unthinkable a couple of decades ago (at a point in time where Norwegian horror itself was almost unthinkable). If given 3 million euros, what would you make in terms of horror, Carl Christian Raabe? -That’s hard to say. I wanted to make Haunted because I thought it was a good and clever story, not because it was [the only thing] possible to make. We could easily have spent 3 million euros on Haunted if we wanted to, but it may have become only 10% better and I’m not sure that would have been right. I just spoke to my cinematographer, the experienced Philip Øgaard. We agreed that the short and intense shoot added a lot to the production. The liberty made us incredibly creative, so it’s not always an advantage to throw more money at a project. I am not happy about the Norwegian horror wave slowing down though. I’d like to see more smart, nice and scary horror films in Norwegian cinemas, but good movies should get financial support no matter what genre they are, not just horror films. Haunted stars Synnøve Macody Lund, Ebba Steenstrup, Ken Vedsegaard, Robert Skjærstad, and Jorunn Kjellsby. The 81 minute film is represented worldwide by Level K and opens in Norwegian theatres courtesy of Another World Entertainment today, November 24, 2017.